Buying a house is a huge step, especially if it’s your first home. It may be tempting to dive headfirst into the types of mortgages that let you buy a home with next to nothing down and the lowest monthly payment. But that should be a red flag to you. No one wants their dream home to become their worst nightmare because they find out they couldn't really afford their house. Dave’s favorite way to pay for a home is with cash. It may sound off-the-charts crazy, but people do it every day! If that’s not a feasible option for you, the next best thing is a 15-year fixed mortgage (more on that later). It’s a good idea to know what types of mortgages are out there and which ones you need to avoid. A home should be a blessing to your family—not a long-term financial nightmare! If you’re about to sign on the dotted line for a mortgage, there are a few things you need to know first. An ARM is a mortgage with an interest rate that changes based on market conditions. The benefits: ARMs offer a lower interest rate—at first. But that’s just how they lure in potential home buyers. Their intention here is to transfer the risk of higher interest rates to you and, in return, the lender gives a lower rate up front. The negatives: Sure, the initial low interest rate is appealing—but it’s going to go up eventually. And then it’ll keep fluctuating throughout the life of the loan. Many people find this type of mortgage appealing because they can qualify for more home. But as many homeowners learned in the economic downturn, when your rate gets higher or you lose your job, the payment can quickly become too much for you to afford. The bottom line: This is one of the worst types of mortgages out there. Don’t finance your home with an ARM and take on that kind of risk! 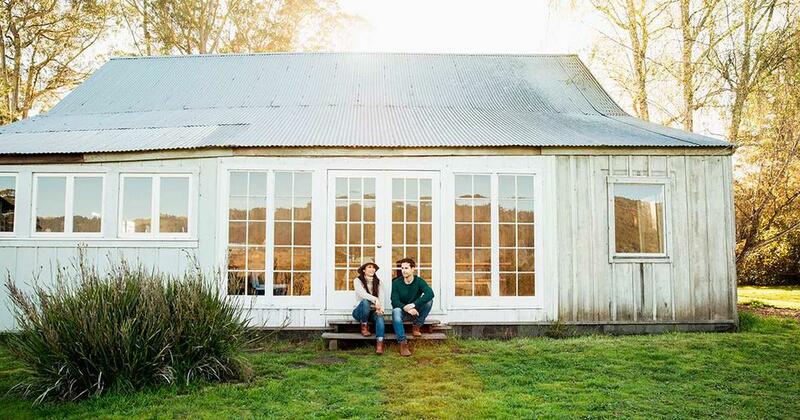 These types of mortgages are designed specifically with the first-time home buyer in mind. The benefits: An FHA home loan can make it easier for someone to own their first home. It only requires you to have 3.5% on hand for a down payment. The negatives: You’re required to keep the private mortgage insurance (PMI) for the full term of the loan. That might not seem so bad on the surface, but here’s the deeper truth: PMI can tack on an extra $100 a month per $100,000 borrowed. If you’ve borrowed $200,000, that’s an extra $200 you’re paying each month. No thanks! The bottom line: If it sounds too good to be true, it usually is. These types of home loans are used to make it easier for our military veterans to become homeowners. The benefits: A VA home loan is a great idea in theory! This type of mortgage is backed by the Department of Veterans Affairs and allows our veterans to buy a home with virtually no down payment. What Is a 30-Year Fixed-Rate Mortgage? What is a Subprime Mortgage? What Is an FHA Loan? What Is a VA Loan and How Does It Work? The negatives: When you purchase a home with zero money down and things change in the housing market, you could end up owing more than the market value of your home. VA mortgages also come with a ton of extra fees and higher interest rates than conventional home loans. The bottom line: The intentions behind this type of mortgage are good, but the plan is all wrong. A reverse mortgage is when a homeowner borrows against the equity of their home and gets monthly, tax-free payments from the lender. The benefits: The lender is paying you monthly. The negatives: With this type of mortgage, you sell off your equity in return for payments being made back to you. It sounds ridiculous because it is. This mortgage is a bad idea because you’re putting a paid-for home at risk—plus the fees are horrible. With a traditional mortgage, the grand total goes down over the course of the term. But with a reverse mortgage, the total rises over time as your interest accrues. The bottom line: Why would you risk your already paid for home for a little extra “income” in your pocket? Avoid this mortgage option like the plague! The idea with this type of mortgage is to make extra payments toward your mortgage for a predetermined amount of time (weekly or every two weeks). The benefits: You’re paying off your home early by making extra payments each year. The negatives: Making extra payments is a good idea—but it’s a bad mortgage option. There’s no need to pay your lender a fee in order to make the extra payment. The bottom line: Make extra payments toward your mortgage whenever you want! You can easily pay extra on your own without having a fee like with this mortgage. Technically this isn’t a mortgage option. But many people hang on to their home loan instead of paying it off early because they’re convinced they will get a tax advantage. The benefits: Yes, you do get a tax cut. The negatives: If you’re avoiding paying off your mortgage to get a tax cut, that’s just dumb. The bottom line: Don’t fall for the myth—the math just doesn’t add up! Each month you hang on to the mortgage (when you really could just wipe it out) is another month of interest being socked to you. So if all these mortgage options are bad, what’s the right way to buy a home? Well, pay for it all in cash, of course! We know that isn’t a feasible option for everybody. Saving up for a 100% down payment on a house isn’t easy! But it’s worth it. Let’s face it: mortgages can be complicated to figure out. Your best bet is a conventional, fixed-rate mortgage with a term of 15 years (or less). 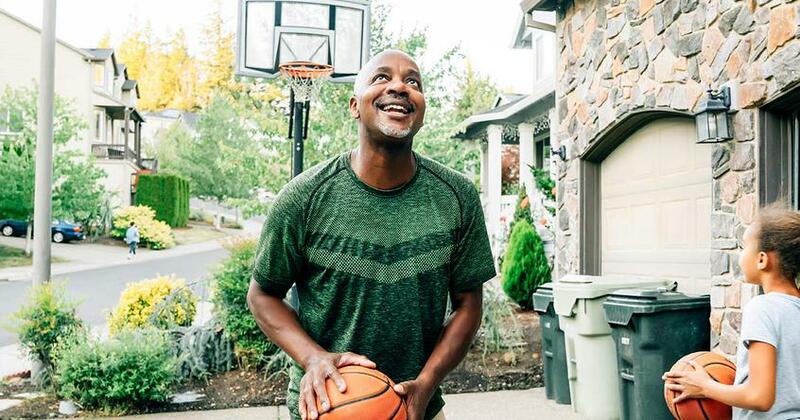 As tempting as it looks, don’t get a 30-year mortgage! The monthly mortgage payments might look more affordable, but it will result in nothing but a huge interest bill in the long run. A $175,000 home on a 30-year mortgage with a 4% interest rate will cost you $68,000 more over the life of the home loan than a 15-year mortgage would. Think about all the things you could do with that extra cash! That’s $68,000 you could add to your retirement savings, investments or children’s college funds. How do you know how much house you can afford? 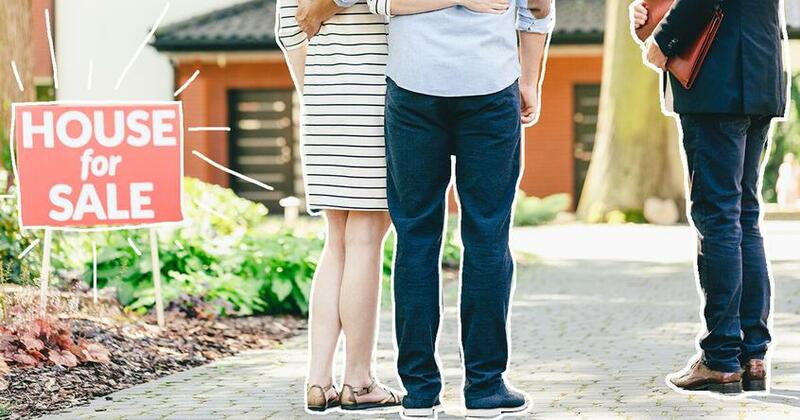 Figuring out how much house you can afford can be tricky. We recommend your monthly mortgage payment not to exceed 25% of your take-home pay. Remember, that’s the amount of money your household actually brings home, not the total gross salary. So why do we recommend only 25%? Any more than that will tie up too much of your income and slow you down as you’re progressing through the last leg of the Baby Steps. For more help, try our free mortgage calculator! It can give you a better idea of how much house you can afford and show you just how long it will take to pay it off. Will I qualify for a mortgage if I’ve been debt-free and have an “undetermined” credit score? Yes! Congratulations—you have a credit score that’s unable to be determined because you’re debt-free and not incurring any new debt. Bravo! The good news is you can still qualify for a mortgage through something called manual underwriting. You’ll need to find a company that offers it though, like Churchill Mortgage. A mortgage is the only kind of debt you’ll ever hear Dave Ramsey be okay with. But remember: you want to own your home instead of your home owning you! And with that as your goal, a 15-year, fixed-rate mortgage is the only way to go. Always remember to hate debt when you buy a house—it will help you keep the drive and passion to pay off your home early. If you’re ready to buy a home, it’s time to work with a real estate company you can trust. Churchill Mortgage was the first sponsor of Dave’s radio show, and he’s recommended them ever since! Let Churchill handle all your home-buying needs. A 30-year fixed-rate mortgage allows you to get a home with a lower monthly payment than a 15-year mortgage—but the interest makes it more expensive. Subprime mortgages are starting to make a comeback. What are they, and are they worth the risk? Shopping for a home mortgage? An FHA loan allows you to buy with as little as 3.5% down—but its total cost is more expensive than a conventional loan. What Is a VA Loan and How Does It Work? 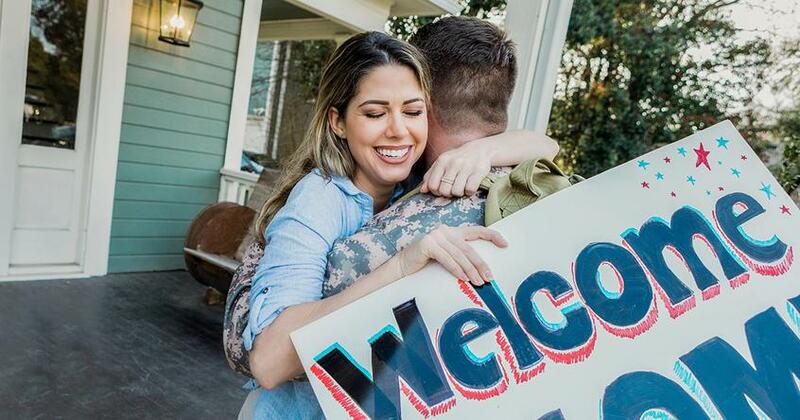 VA loans were created to make buying a home easier for America’s brave military personnel. But is this type of loan really the best option?